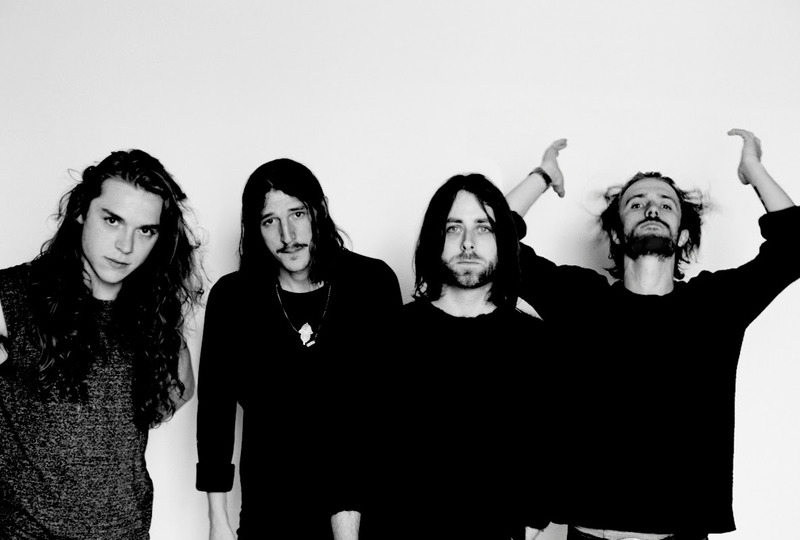 Brighton’s Demob Happy will be releasing their debut album, ‘Dream Soda’ on October 2nd via SO Recordings. The band have also released a double A-side single ‘Junk DNA’/‘Suffer You’ and both tracks lock horns on a bold psychic journey through the back alleys of garage-rock. Born out of a ten-minute dirge freak-out, ‘Junk DNA’ features five different tempo changes, squeezing and contorting grand themes down into an intense grunge hymn. Asserting their impulsive and savage brand of grunge-ridden garage-rock across numerous single and EP releases through last year,’ Dream Soda’ offers a turbo charged collection of contrasts: tough and tender, melodic and malevolent, sweet and sour. It’s a concept album without contrivance, one in which we’re treated to sci-fi-inspired sounds and dystopian messages disguised beneath shiny hooks and a silver lining. They offer prog rock complexity, but none of the excess. Birthed in the blackened Welsh winter of 2014, Dream Soda is the consequence of four young men isolating themselves from the perils of the outside world to embark upon a hypnotic and relentless two-month long jam. Stranded in a desolate cottage in the Carmarthenshire valley, the band worked on their own terms to craft a 12-track escape before heading to Electric Zoo studios to lay the tracks to tape. Following a recent stint through Europe supporting Death From Above 1979, and appearances at Reading & Leeds festivals, Demob Happy will embark upon a UK headline tour through December on the dates below.